The John Deere Tango E5 Autonomous Mower will change the way you think about lawn care forever. This amazingly quiet machine provides completely autonomous mowing in any weather conditions and requires no grass clipping disposal. 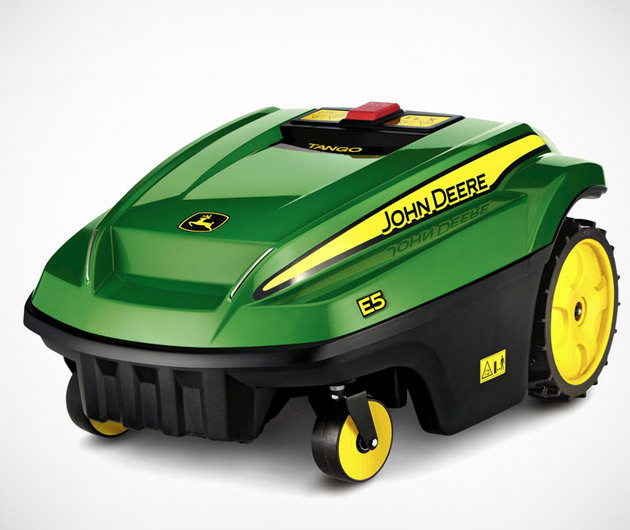 Complete with the sturdy quality construction John Deere products are revered for, the Tango E5 Autonomous Mower provides you with an immaculately groomed lawn while you sip a cold beverage in the shade.